For more Search Marketing News, check our latest updates here. The search marketing industry has been alive, once again, with rumours of a major Google algorithm update. Significant ranking fluctuations, which far exceed those that can be attributed to background noise, have been occurring since June 25th. The suggestion that a notable algorithm update is being rolled out has not been confirmed, but it is not unusual for Google to keep their cards close to their chest in these instances. 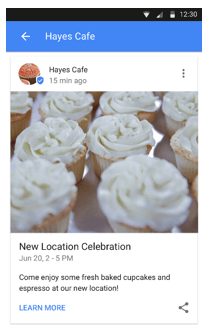 All businesses will now be able to benefit from Google Posts, a new feature of the Google My Business service. Posts will be displayed both in the search engine results page and in Google Maps but cannot be viewed on a single page or outside of the Google Search ecosystem. The role of Google Posts will be to attract the attention of searchers and draw traffic to the business’ own website. Posts must be between 100 and 300 words and can include an image, event or special offer information, and a call to action. Google has been handed a record breaking 2.42bn euro ($2.7bn; £2.1bn) fine by the European Commission for anti-competitive behaviour. The accusations relate to Google Shopping adverts which, the ruling states, gives their shopping comparison service “illegal advantages” over its competitors. The search giant has been ordered to cease all such activity within 90 days or face further fines. After updating their removal policy to include “confidential, personal medical records of private people”, Google have started to de-index large quantities of sensitive data. The data was stolen from US insurance companies in a number of major security breaches over the last seven years. Responding to the latest craze Google have added a new easter-egg to their results pages. 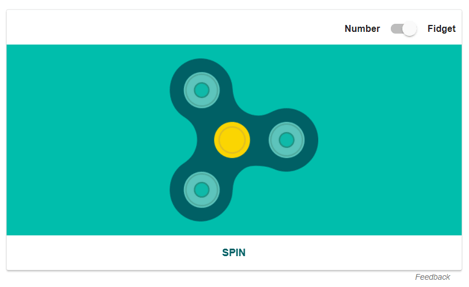 A search for “spinner” now brings up a digital version of the fidget spinner, a simple plastic toy consisting of three weighted arms and some ball bearings.